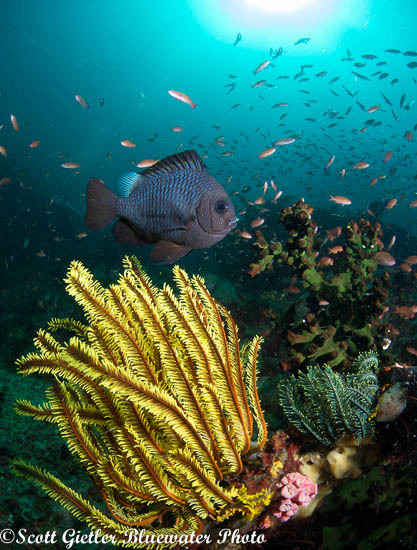 The Olympus OM-D E-M1 has quickly become one of the best Micro 4/3 cameras for underwater photography. Compact in size, the E-M1 contains a 16MP MOS 4/3 format sensor and an advanced autofocus that uses both contrast and phase detection across 81 points. The fast autofocus, HD video recording, improved low light capabilities, wifi and burst mode capturing up to 12 fps are strong selling points. Panasonic 8mm Fisheye: Sharp, wide fisheye lens that is a favorite for wide-angle and close-focus wide-angle underwater photography. Olympus 9-18mm: Great rectilinear wide-angle lens for shooting wide-angle subjects you can't get very close to, including sharks, whales, sea lions, etc. 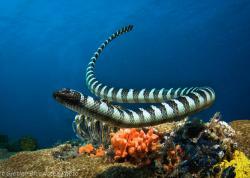 Olympus 12-50mm: The ultimate lens in terms of ultimate flexibility underwater. This is for those who only want to purchase one lens and port. Olympus 60mm Macro: Our top pick for macro photography. Fast focus and great magnification make this a must-have lens for macro and super-macro. The housing manufacturers match these lenses with a variety of great port options. Macro ports will be flat while ports for the 8mm fisheye and some of the wider Olympus lenses will be domes of various sizes, both acrylic and glass. The team at Bluewater Photo has put together some great resources for those interested in purchasing the E-M1 and those already shooting the E-M1. 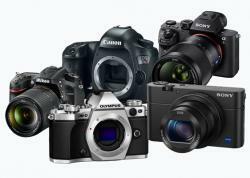 Check out the camera review for detailed specs on the camera, pros and cons vs compacts and DSLRs and a wealth of other info to help you decide if this is the camera for you. Check out the shooting guide for best recommended settings for macro and wide-angle, lens choices and other great info. 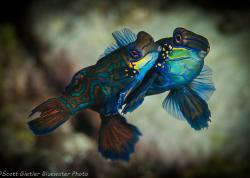 Learn the best underwater settings for Olympus PEN and OM-D cameras - updated for the E-M1. 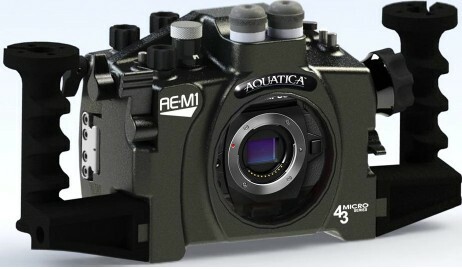 Aquatica has re-entered the mirrorless game with the AE-M1 housing for the Olympus OM-D E-M1. Years of experience manufacturing housings has led Aquatica to create yet another simple, reliable and ergonomic housing. A variety of ports and extensions allows use of the popular micro 4/3 lenses while an optional vacuum leak detect system provides divers confidence when submerging their housing. Opening Housing: Plastic twist latch - secure and easy to use. Housing back is hinged on one side. Adding/Removing Camera: Tripod mount attaches to camera (coin or screwdriver required) then slides into housing. LCD screen must be lifted slightly. This means that the screen sits at an upward angle in the housing, creating a better viewing angle when the camera is low to the ground (i.e. for macro). Must lift on/off switch lever before inserting camera. 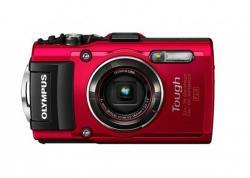 Control Access: Access to all primary camera controls except LCD touchscreen. Ergonomics: Buttons are spaced out and well labeled for easy use with fingers or gloves. Solid, fluid feel when pushing. Horizontal shutter lever is very ergonomic. Dials easy to twist with one finger and oversized zoom knob allows for very smooth zooming during video. Video record button moved into thumb lever position right behind trigger for ergonomic on/off with hand on handle. Focus lock (AEL/AFL) lever ergonomically placed at right thumb. Build: Annodized aluminum with military grade powder coat with stainless steel buttons and easy-to-grip powder coated knobs. Screw mount for ball (instead of cold shoe mount). Depth Rating: 90 meters (300 feet). Upgradeable to 130m (425ft). Ease of Port Change: Twist bayonet mount for adding/removing the port. Most ports feature a built-in port lock to eliminate any possibility of unintentional twisting. 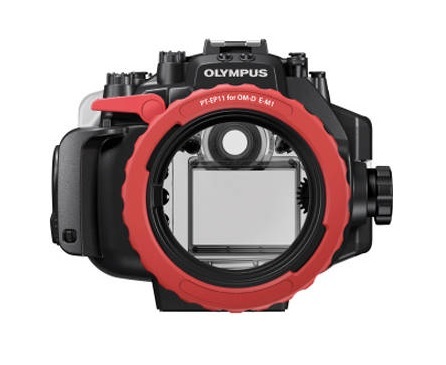 The external lens release button allows ports and lenses to be changed from the front of the housing, meaning your main housing o-ring remains safely sealed between dives. Port Selection: Excellent, providing options for the popular Panasonic 8mm fisheye and Olympus lenses for wide-angle and macro shooting. Aquatica offers the 8" acryllic SW8 dome port, which has been specifically designed for micro 4/3 camera lenses. The SW8 is the only 8" dome available for mirrorless cameras, making over-under split shots a breeze. O-Ring Maintenance: Easy to see and remove o-ring on housing back and port. Port o-ring should be greased at every close to ensure smooth twisting of the bayonet mount. Extras: Vaccum leak detect system (requires preorder of vacuum electronics, bulkhead and vaccum valve/pump). Bulkhead available for shooting with sync cords. Nauticam has made waves in recent years with aluminum housings engineered for maximum ergonomics. Their housings are a top choice for mirrorless shooters and the NA-EM1 is no different. A variety of ports and extensions allow use of the popular micro 4/3 lenses while an optional vacuum leak detect system provides divers confidence when submerging their housing. Opening Housing: Plastic twist latch- secure and easy to use. Housing back is hinged on one side. Adding/Removing Camera: Tripod mount attaches to camera (finger screw) then easily slides into housing. LCD screen must be lifted slightly. This means that the screen sits at an upward angle in the housing, creating a better viewing angle when the camera is low to the ground (i.e. for macro). Must lift on/off switch lever before inserting camera. Ergonomics: Buttons are easy to press (minimal action), positioned closely together and well-marked. Horizontal shutter lever is very ergonomic. Plastic dials have big ridges, making them easy to twist with one finger. Video record button moved to thumb button position on back right of housing for more ergonomic on/off with hand on handle. Focus lock (AEL/AFL) lever ergonomically placed at right thumb. Build: Anodized aluminum, plastic buttons, rubber zoom knob, galvanized steel rods. Cold shoe mount. Ease of Port Change: Nauticam's signature Port Locking Lever allows quick and easy changes without having to twist or turn the port on the housing. The external lens release button allows ports and lenses to be changed from the front of the housing, meaning your main housing o-ring remains safely sealed between dives. Port Selection: Excellent, providing options for the popular Panasonic 8mm fisheye and Olympus lenses for wide-angle and macro shooting. Lenses from previous Olympus four-thirds DSLR cameras are now supported with the optional extension ring. In addition to the wide-range of Nauticam ports, Zen makes a 7" glass dome for this housing - perfect for those interested in improved optics and over-under split shots. O-Ring Maintenance: Easy to see and remove o-ring on housing back and port. Extras: Vaccum leak detect system (electronics come in housing, need to purchase vacuum valve/pump. Easy installation). 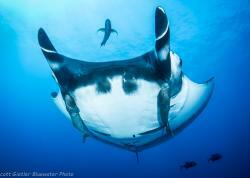 Compatible with Nauticam 180 and 45 degree external viewfinders. Bulkhead available for shooting with sync cord. 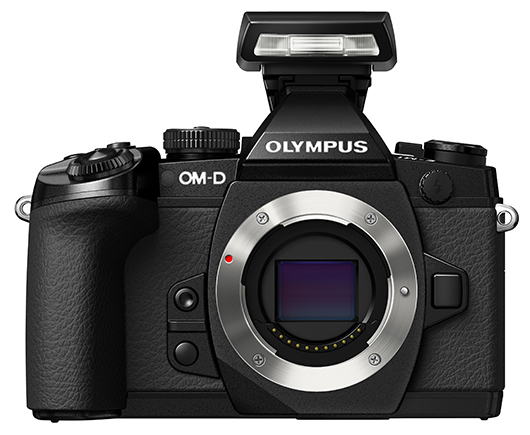 Olympus developed the PT-EP11 housing to complement its flagship OM-D E-M1 camera. The polycarbonate housing is lightweight with well-labeled buttons and a great port release system. It is depth rated to well below the recreational limit and has ports that accomodate all popular underwater lenses for the E-M1. 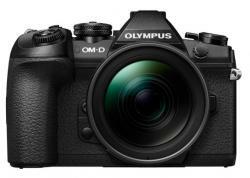 Their housings for the E-PL3, E-PM1 and E-PL5 are very popular due to their great price point, although photographers tend to go with the aluminum housings for higher end cameras like the OM-D E-M5 and E-M1 since the price increase is small. Opening Housing: Plastic twist latch that's secure and easy to use. Housing back is hinged on one side. Adding/Removing Camera: Camera slides directly into housing without tripod mount. Fits snugly and housing controls meet up nicely with camera controls. Must lift on/off switch lever before inserting camera. Ergonomics: Large, well-labeled plastic buttons have a small amount of play. Vertical shutter lever activation. Great rear and zoom knobs. Front dial may requires two fingers to twist. Video record button on top right of housing, matching camera body placement. Focus lock (AEL/AFL) button matches camera body placement and can't be reached while finger is on shutter release lever (if using a handle). Many photographers program that button to focus, which is very useful in certain macro & wide-angle situations. Build: Polycarbonate with plastic buttons and steel rods. Cold shoe mount. Ease of Port Change: Olympus port system featuring small plastic port lock allows quick and easy changes without having to twist or turn the port on the housing. The external lens release button allows ports and lenses to be changed from the front of the housing, meaning your main housing o-ring remains safely sealed between dives. Port Selection: Dome and flat ports are available to support a wide range of Olympus lenses, as well as the popular Panasonic 8mm Fisheye. Adapter available to use Zen 4" acryllic dome with the Olympus 9-18mm lens. Extras: Detachable eye magnifier allows 100% visibility of the extra large E-M1 electronic viewfinder while wearing a diving mask. Recsea housings, made in Japan, are very popular on compact cameras. This experience building quality housings for small cameras is apparent in the RDH-OMEM1 housing - it's the smallest available. The machined aluminum body is stylish and compatible with Recsea ports that accomodate all popular underwater lenses for the E-M1. Opening Housing: Two plastic housing latches are easy to open, allowing housing back to be completely removed. Adding/Removing Camera: Camera is screwed directly into housing via tripod mount finger screw. Left camera strap ring and eyepiece must be removed for proper fit. Must lift on/off switch lever before inserting camera and ensure it is aligned properly. Ergonomics: Smallest housing available for E-M1. Buttons easy to press. While not individually labled, there is a button diagram on back right of housing. On/off switch, AF mode button and shooting mode buttons on top left of housing are not labeled. Small dial knobs complement compact size. Video record button on top right of housing, matching camera body placement. Focus lock (AEL/AFL) button matches camera body placement and can't be reached while finger is on shutter release lever (if using a handle). Many photographers program that button to focus, which is very useful in certain macro & wide-angle situations. Build: Anodized aluminum alloy, plastic buttons and knobs with galvanized stainless steel shafts. Cold shoe mount. Ease of Port Change: Twist bayonet mount for adding/removing the port. Recsea's port lock button doubles as a lens release, allowing ports and lenses to be changed from the front of the housing, meaning your main housing o-ring remains safely sealed between dives. Port Selection: Dome and flat ports are available to accomodate Olympus lenses and the popular Panasonic 8mm Fisheye. O-Ring Maintenance: Easy to see and remove o-ring on housing back. Port o-ring is more difficult to access. Summary - Which Housing for You? 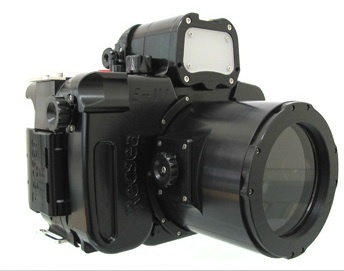 The Aquatica AE-M1 housing feels solid and tough, with fluid action of all controls placed in ergonomic positions. The control dials are the largest of all the housings and easy to use. Build quality is outstanding. 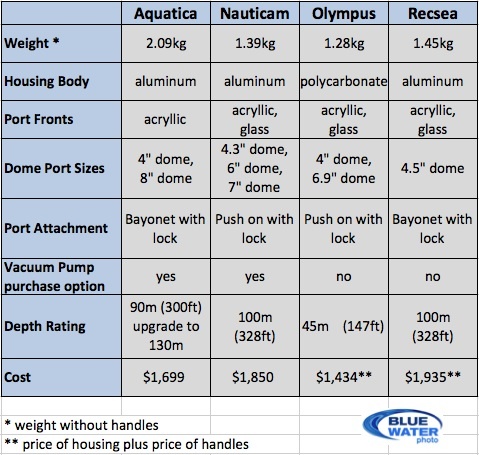 The price is on the lower side however the weight is more than other housing options. The vacuum leak detector system is highly recommended as an add-on, not because there are any concerns with the housing, but because you will feel more relaxed knowing the housing is secure when entering the water. The option of an 8-inch dome port for the 9-18mm lens make this an excellent choice for over-under shots. 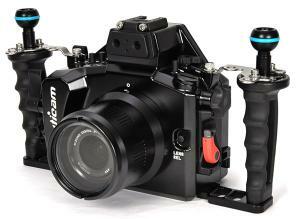 The Nauticam NA-EM1 housing is a pleasure to use, both with ergonomics and in the ease of changing ports. Nauticam's unique port lock eliminates the need for any twisting. We dived with this housing extensively in Anilao, Philippines and the performace underwater was flawless with excellent shutter control. The price is higher compared to the competition but the quality is high. Divers who have tried the vacuum leak detector system now swear by it, and we recommend it as an add-on. The Olympus PT-EP11 housing is the most economical housing available, however it doesn't have the same craftsmanship as its competitors. The polycarbonate body makes it a lightweight choice and easy to use for newer divers and underwater photographers. The Recsea RDH-OMEM1 is the most compact and also the most expensive housing option for the E-M1. Small button configuration and compact dials make the housing most suitable for glove-free diving. Advanced shooters will appreciate the discrete nature of the controls while newer shooters may not know where to find certain camera controls. Recsea's glass 4-inch fisheye dome port will be appreciated by divers who have scratched their softer acrylic ports. 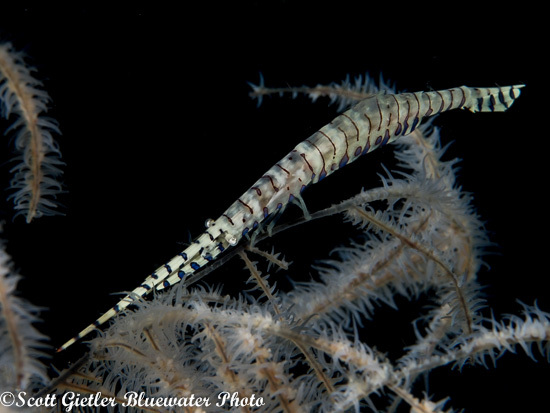 Sawblade shrimp shot with the 60mm macro lens in Anilao, Philippines. 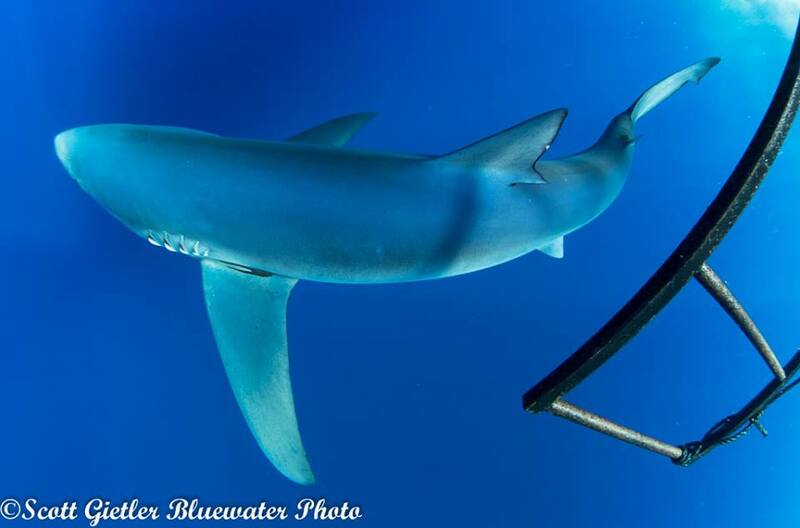 Blue shark shot with Panasonic 8mm Fisheye lens during a Bluewater Photo dive trip.